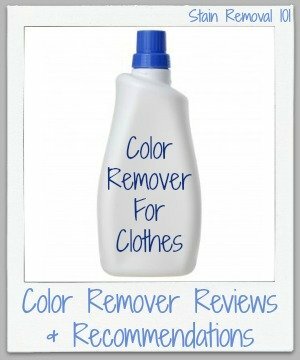 Everyone has had an accidental dye transfer while doing laundry, and here are recommendations and reviews of dye and color remover products to get your clothes back to the way they're supposed to look. 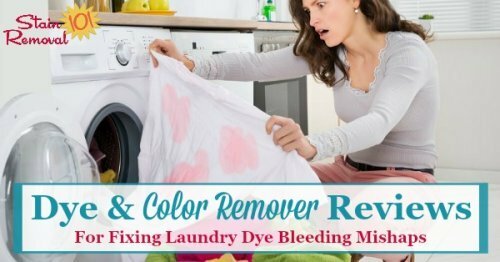 You'll be in need of a color or dye remover for clothes if you've accidentally dyed some of your laundry through a color bleed or dye transfer. This is, unfortunately, a really common laundry mishap -- throwing in something with a strong dye, such as red socks, in with lighter clothing and turning everything pink. 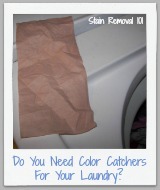 In fact, I get more laundry questions about this topic from readers than practically anything else. The thing is, although the problem happens frequently, fixing it isn't always simple. 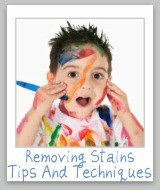 In the article I make a distinction between products to try to fix white clothes that have dye transfers on them, and colored clothes that have experienced a color bleed. 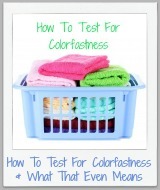 Logically, it is much easier to remove all dye from a piece of fabric than to selectively remove the offending dye, but keep the original color of the clothes. That means fixing color bleeds on whites is much easier than for colored fabrics. Once you're aware of what products are available, the question becomes how do they actually work? 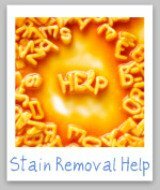 I've collected reviews and stories from my readers, who've shared how various products worked for them when trying to fix the problems caused by a dye transfer stain on their clothes. 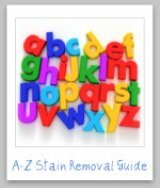 Hopefully these reviews will help you find the best products to use on this issue. Remember too, you can skip down and share your own review as well telling me what product you used, and how it worked for you. 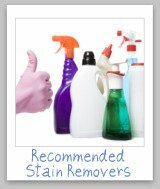 There are several products available for removing dye transfer stains that occur in the laundry, and if you've tried one I'd love to know how it worked for you, good or bad. 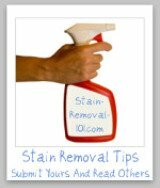 Further, helpful information would include how it cleaned your clothes, how it smelled, whether it removed stains in your clothing, how it effected wear and tear of the fabric, or any allergies or skin reactions you or a family member experienced, if these are applicable.